Jif Power Ups Chewy Bars Just $1.00 at Acme! 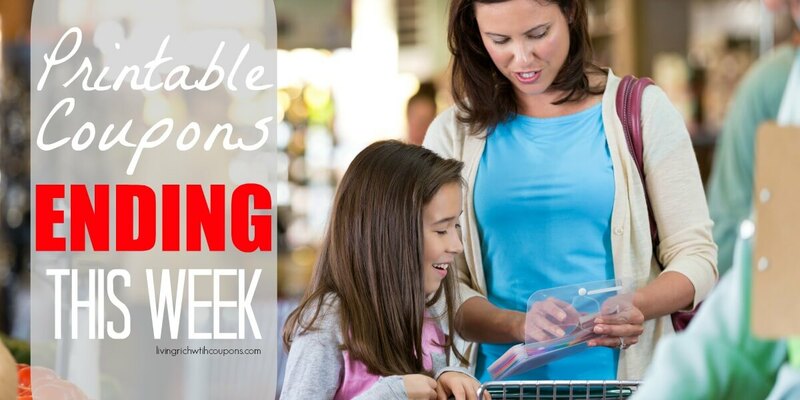 Here’s an easy deal to add to your Acme list this week! 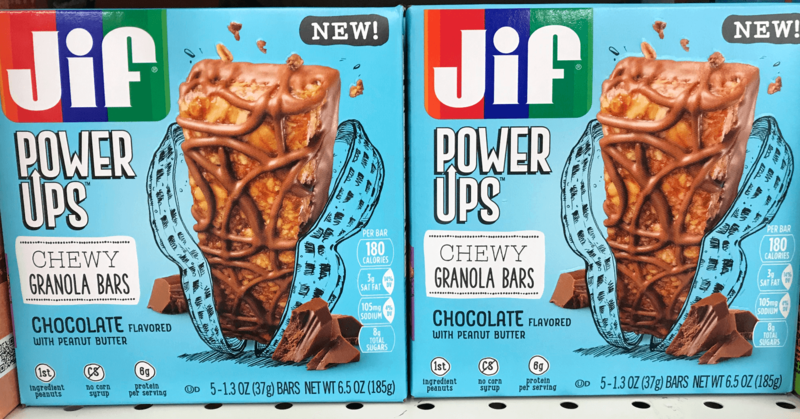 Jif Power Ups Chewy Bars are on sale 2 for $5 (We don’t have to buy 2 to get the $2.50 sale price) Print this $0.75/1 Jif Power Ups coupon to make these just $1.00 per box! Stock Up! Always look for personalized J4U Acme... Read More Read more about Jif Power Ups Chewy Bars Just $1.00 at Acme! Jif Power Ups Granola Bars Just $1.00 at Acme! Jif Coupons January 2019 – Ok, for just a buck, it’s time to give these a try! Jif Power Ups Granola Bars are on sale for $2.50 at Acme this week. We have this coupon available: Save $0.75 on any ONE (1) Jif Power Ups® product, exp. Varies After the printable coupon, a 5 count... Read More Read more about Jif Power Ups Granola Bars Just $1.00 at Acme! Acme: Jif Power Ups Granola Bars JUST $1.00 Each Thru 1/17! Giant: Jif Power Ups Granola Bars JUST $1.00 Each Thru 1/24! New $0.75/1 Jif Power Ups Bars Coupon & Deals! JIF Coupons January 2019 – There is a new JIf Coupon available to print. 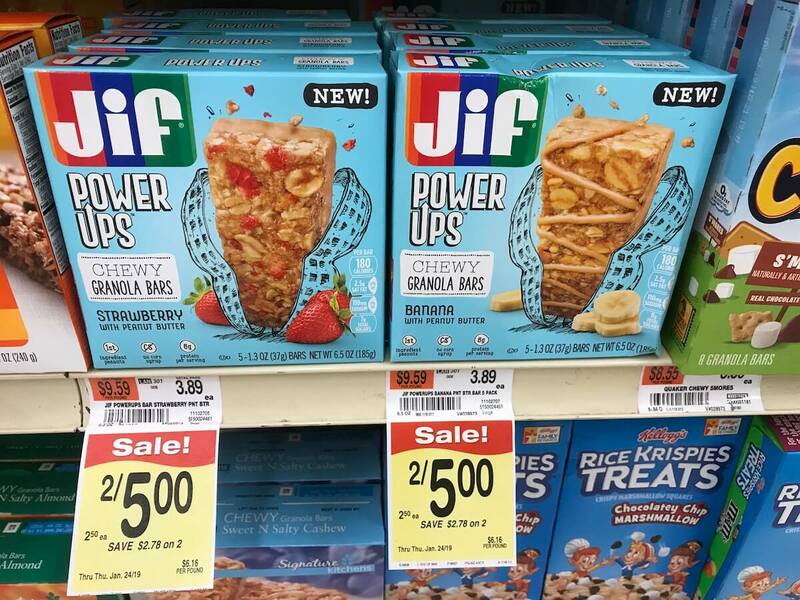 The coupon is for $0.75 on any ONE (1) Jif Power Ups product Print: Jif Power Ups Coupon ShopRite sells the Jif Power Up Bars for $3.49 and there is a $0.75/1 Jif Power Ups product., ShopRite eCoupon, exp. 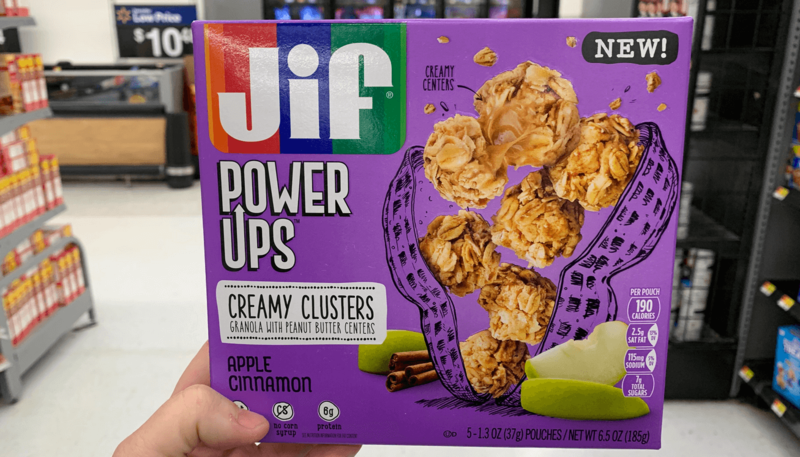 03/30/2019 available... Read More Read more about New $0.75/1 Jif Power Ups Bars Coupon & Deals! Jif Power Ups Coupon Through 12/06 Stop & Shop has Jif Power Ups on sale for $2.50 each! We have that awesome Save $0.75 on any Jif® Power Ups® Chewy Granola Bars or Creamy Clusters 5-Ct. printable coupon available. 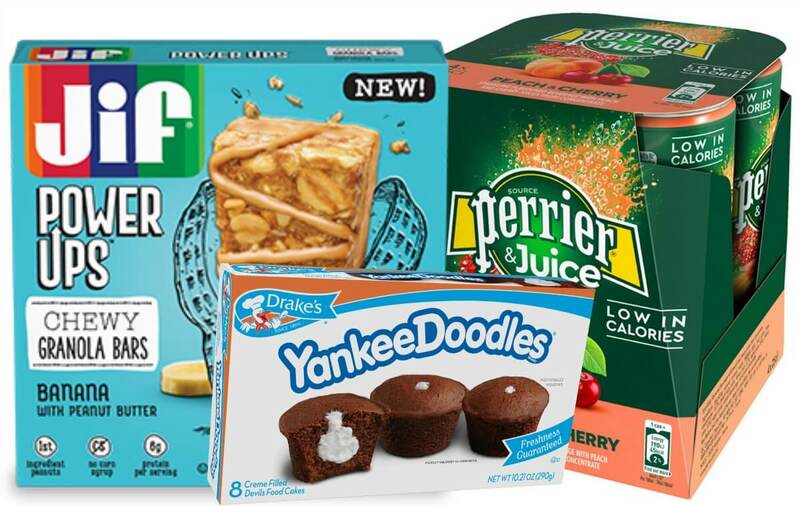 After coupon pay just $1.00 per box! Nice Deal – Stock Up! Giant-Giant/Martin shoppers check your store for... Read More Read more about Jif Power Ups only $1 at Stop & Shop!